Streusel Pumpkin Pie. 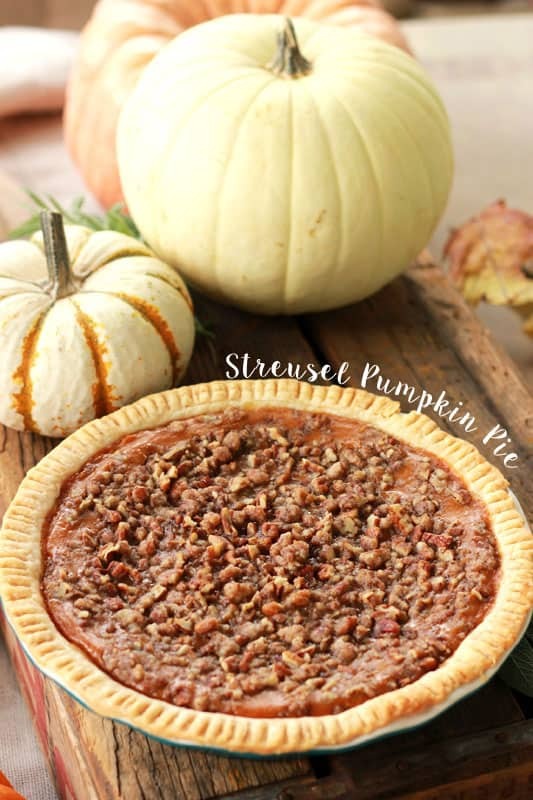 Classic Pumpkin pie is topped with a beautiful homemade streusel and baked to perfection. We all know it as the staple that makes its way to the Thanksgiving dessert table. I have a classic version on my site but this year I decided to try something a little different. Adding a streusel topping took this pie from good to AMAZING. If you know me, you will know that I am not a fan of pie. I always keep my fingers crossed that someone will bring brownies or cookies to our big holiday gatherings. 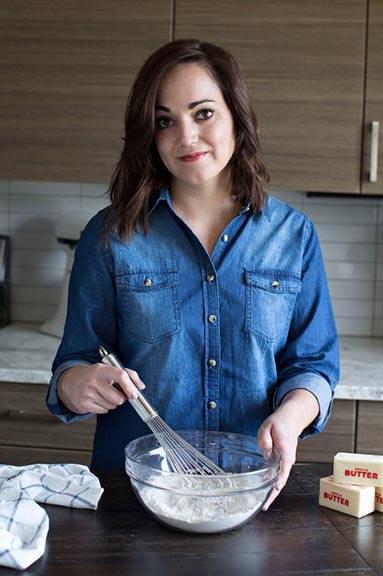 All of that changed with this recipe. I whipped up two in a trial run the night before I was scheduled to meet with a group of talented ladies. Sometime around midnight I forced my husband to cut and try a slice. One bite and we were HOOKED. 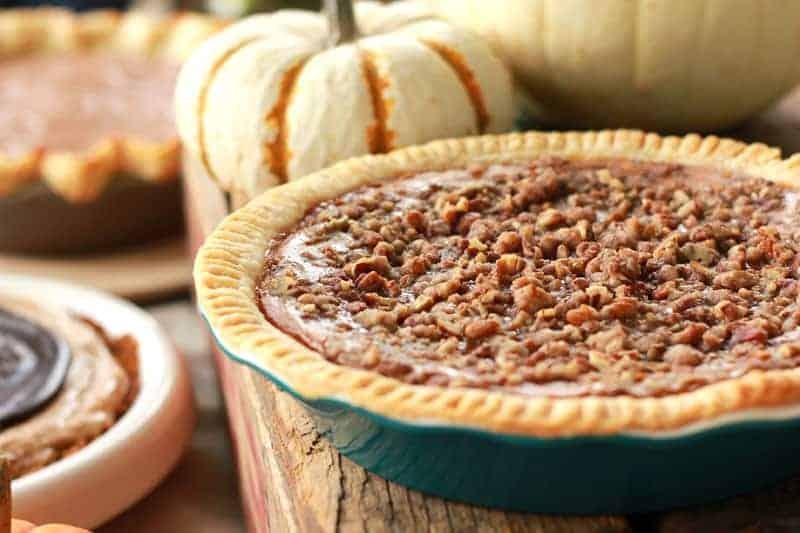 It is sweet, it is salty, it is packed with fall flavor. I can not even describe how wonderful every bite was as it hit my taste buds. The secret is in the crumbly topping. It adds an extra layer of crunch that is fantastic. As my nine year old said, it is a sweet surprise in every bite. Like this recipe? 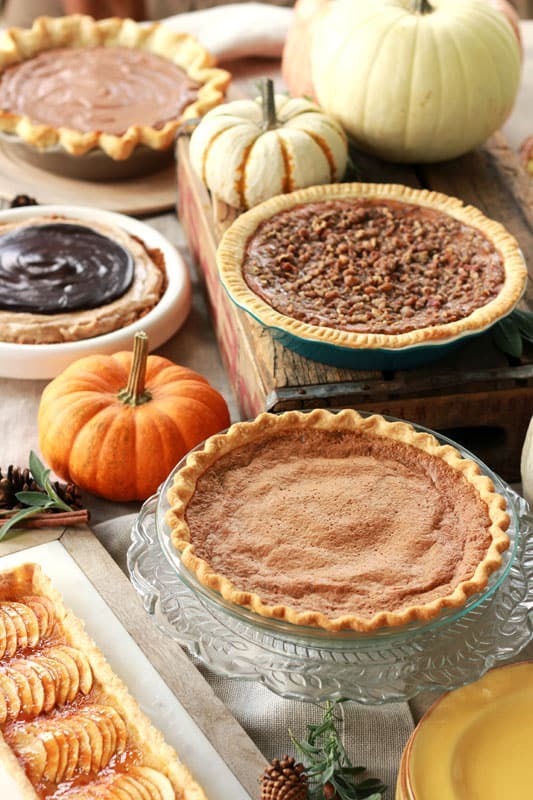 You will love my Classic Pumpkin Pie, Mexican Chocolate Pie, and Slow Cooker Pumpkin Pie! Preheat your oven to 425 degrees. Place both of your shells in two dishes and set aside. Whisk together the pumpkin puree, evaporated milk, granulated sugar, 1/2 cup brown sugar, eggs, and vanilla. In a separate bowl combine 1 teaspoon cinnamon, ginger, nutmeg, and salt. Fold into your pumpkin mixture. Divide evenly between you two prepared crusts. Bake for 20 minutes. 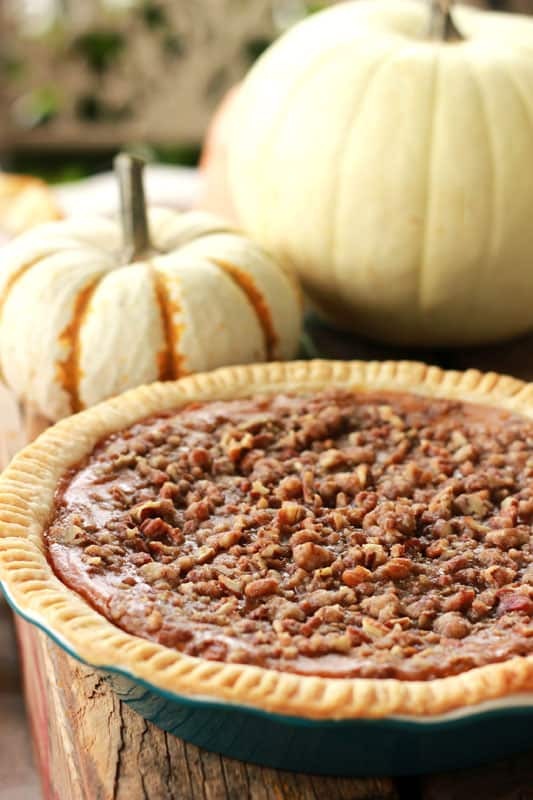 While your pie is baking stir together the 1/4 cup brown sugar, flour, 1 teaspoon cinnamon, butter, and pecans. Pull to pies out of the oven. Reduce the temperature to 350 degrees. Divide your crumble mixture over the top of each pie. Place a tent of foil over each and return to the oven. Bake 40-60 minutes or until the center is set. They all are! Add them to your Thanksgiving menu! This looks amazing!!! I love all things streusel and this sounds perfect. Thanks for the shout-out too friend! Can’t wait to see you again, anything fun happening for bloggers up north in December?! I’m not sure! If you see one make sure you let me know about it! Nothing better than discussing food and eating pie! Let’s do it again!! Such a beautiful pie!!! I can’t wait to make it! That was such a fun day.